Humboldt County, located about 200 miles north of San Francisco on California's spectacular Redwood Coast, has many wonderful attractions and experiences for the curious traveler. But our greatest claim to fame without doubt is that we are the true home of the legendary California Coastal Redwoods. 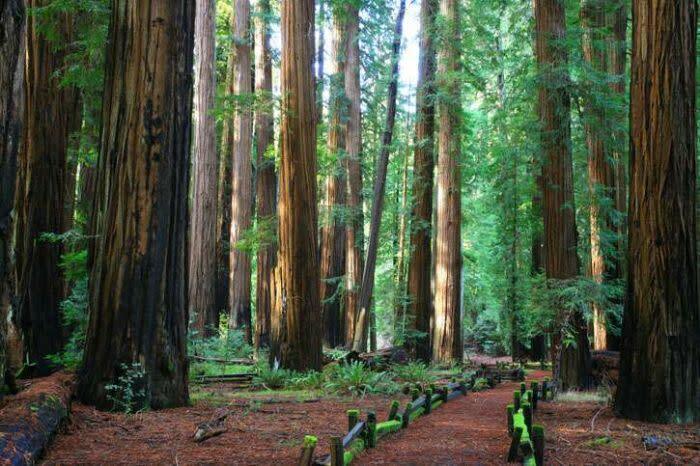 In Humboldt County, home to the world's tallest trees, you will find the most acreage of primal old-growth redwoods, the largest and best redwood parks including Redwood National Park/Prairie Creek Redwoods and Humboldt Redwoods State Park, Drive Thru Trees and the most accessible and scenic trails - north, trails - south and driving tours. 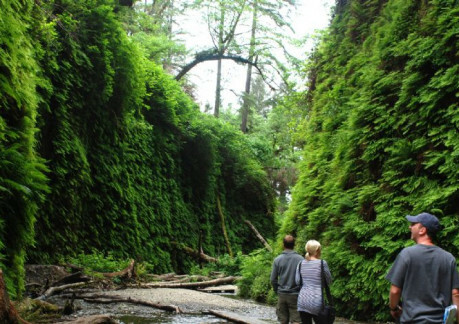 Combined with over 100 miles of achingly beautiful California coastline--with everything from wide sandy beaches to rocky tidepools and rugged cliffs--the redwood forests of Humboldt County provide an outdoor playground that is second to none. 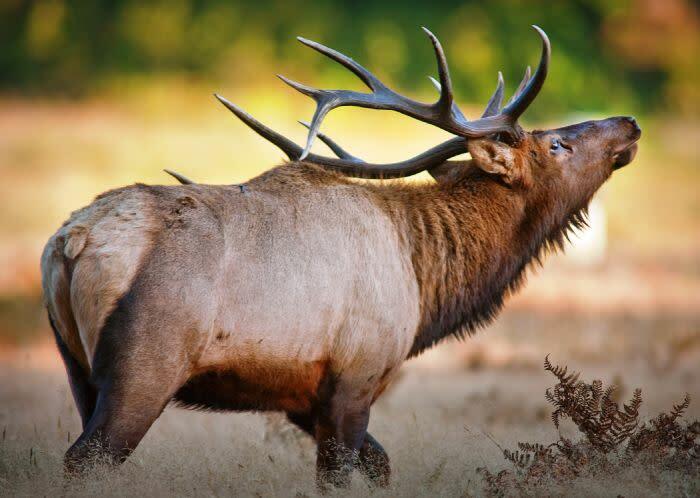 The number one reason why vacationers and especially families choose to visit Humboldt is to connect with nature. Whether you choose a gentle stroll among towering redwoods, a challenging mountain trail or a backcountry tour by car or motorcycle, you will find a wild, unspoiled slice of California. If you're into birdwatching and whale watching; or watersports, kayaking sailing & rafting; mountain biking or cycle touring; bouldering, backpacking or extreme sports, or just kicking back and beachcombing on the shore, Humboldt offers California's most scenic, untouched and uncrowded place to do it. 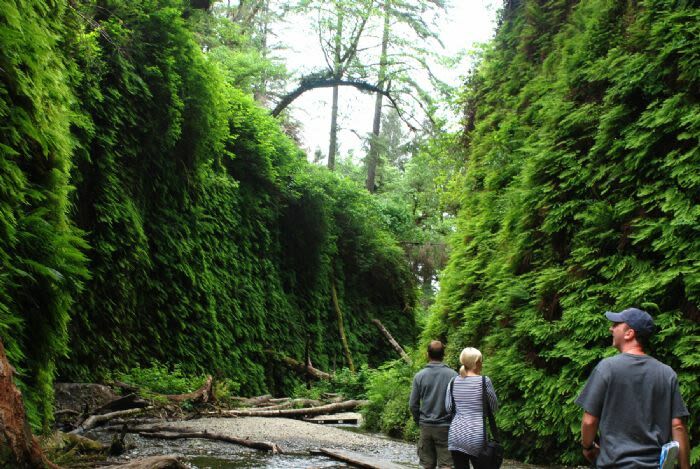 You don't have to be Tarzan to appreciate Humboldt County. Our natural wonders are just minutes away from small towns and cities that provide a full range of lodging, dining, shopping and other attractions for you to experience. Eureka is the largest, most central city with the most amenities, a vibrant arts scene and lots to see and do, especially in the Historic Old Town district. Eureka makes a perfect home base for your Humboldt County vacation. 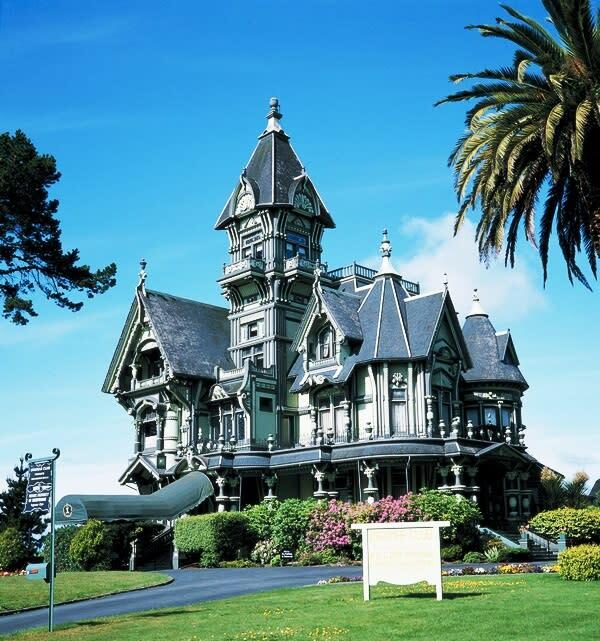 Find out more about Humboldt County's towns. North of Eureka is the college town of Arcata, with unique attractions like the Arcata Marsh & Wildlife Sanctuary and excellent visitor amenities. Other towns that are popular with visitors are Trinidad, a picturesque coastal village and part of the California Coastal Monument area, Orick, gateway community to Redwood National Park, the Victorian Village of Ferndale, an historic farming community, Shelter Cove, perched on the remote Lost Coast and Fortuna, an all-American town with plenty of old time hospitality. All have cozy B&Bs and plenty of rural tranquility. Moving away from the coast, Garberville and the Avenue of the Giants are the gateways to southern Humboldt County and especially to Humboldt Redwoods State Park. In eastern Humboldt County, the town of Willow Creek is on the doorstep of Six Rivers National Forest and is known for fishing, rafting and Bigfoot. If you like to feel even closer to Nature, Humboldt's national, state and county parks offer plenty of camping options, too.